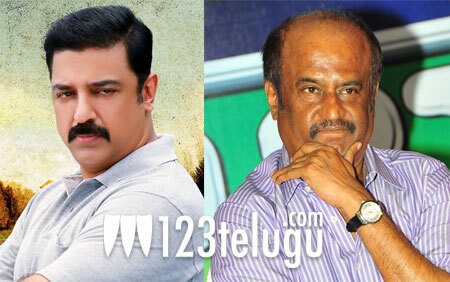 Kamal Haasan is not going to team up with Rajinikanth contrary to the rumours floating on the internet. Earlier today, a leading Mumbai based tabloid published an article quoting Kamal Haasan that he’s planning to revive Marudhanayagam, which was shelved several years ago. What more, he’s even planning to approach Rajinikanth for a role in the film. However, Kamal Haasan’s manager has clarified that Kamal hasn’t given any such interview to the tabloid. Apparently, such rumours have been floating around in the media for more than 15 years. Meanwhile, Kamal Haasan is busy wrapping up his film Vishwaroopam and he’ll then begin working on Thalaivan Irukkindran, which will be produced by Aascar Ravichandran.